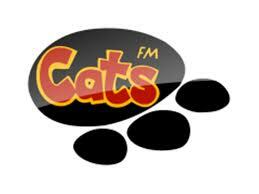 CATS Radio – East Malaysia’s first and only private radio station was launched. Wholly owned by Kristal Harta Sdn. Bhd.,CATS Radio operates 24 hours from its permanent building located at Jalan Bako, Kuching. CATS FM is equipped with some of the most advanced equipment in ensuring a smooth broadcast of programs to listeners. The main control room or MCR, which supervises the transmission of programs round the clock, further supports this. CATS FM is headed by its General Manager Hj. Mohd Iskandar Hj. Mohd Nawawi and supported by the various departments such as Program, Marketing, Admin & Finance, Production And Engineering. CATS FM programming philosophy, simply stated is “MORE MUSIC LESS TALK”. Programming contents is 70% music 30% talk and listeners are presented with the very best popular music available with current news and interesting information. CATS FM is known for its casual presentation style with frequent airplay of chart topping hits from different genres. Listeners are presented with numerous interesting programs round the clock.